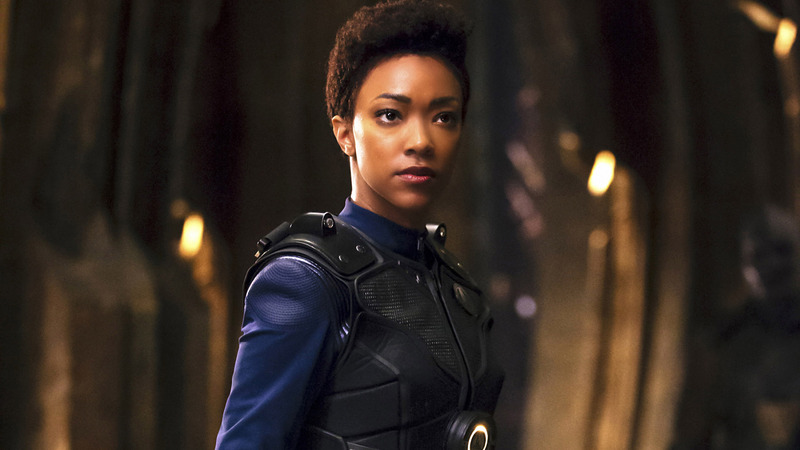 Michael Burnham stands at the front of the bridge, gazing into the image on the viewscreen as a worker bee clamps hold of the relay buoy and turns back for the Shenshou‘s shuttle bay. Georgiou considers this analysis. “Officer thinking, Commander. Always concerned with the bigger picture. Lieutenant Commander?” she asks, turning to Saru. 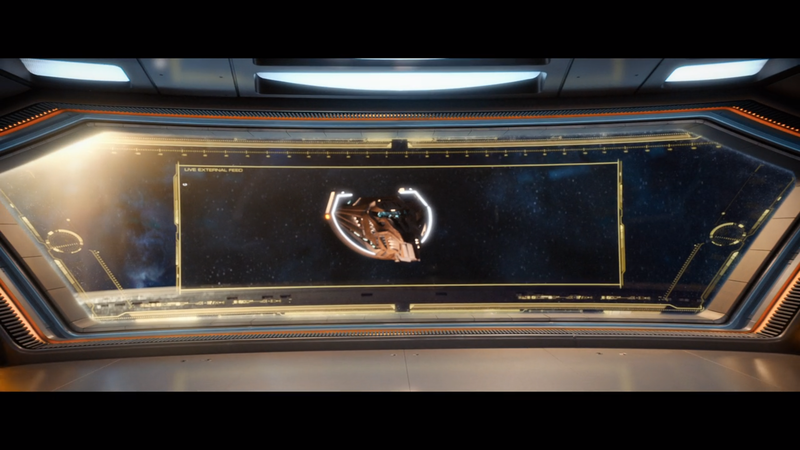 The beautiful brass telescope in the Captain’s ready room provides a better view of the object, but it remains obscured by asteroids. Whatever it is, it’s rendered in bronze, and is elegant, almost organic, in shape. Burnham squints through the eyepiece in frustration. Saru nods. “This is one of the farthest reaches of the outer frontiers. Captain, are you saying that you suspect Klingon activity in this system?” His ganglia twitch, extruding slightly in alarm before retreating again. Burnham’s mouth hangs open, and Saru’s ganglia stretch out behind his head. Georgiou stares out the window at the two suns, tearing at each other in a tug of war. “Well, Number One, when was the last time you piloted a shuttle? As part of my analysis and break-down of ‘Discovery’, I feel it’s not enough to merely point out the problems – I ought to be offering solutions. As a result, this is the first installment of a personal project to re-write the series from the bottom up. Burnham is a disgraced officer who threw away her career with some really poor judgement, precipitating a war with the Klingons. 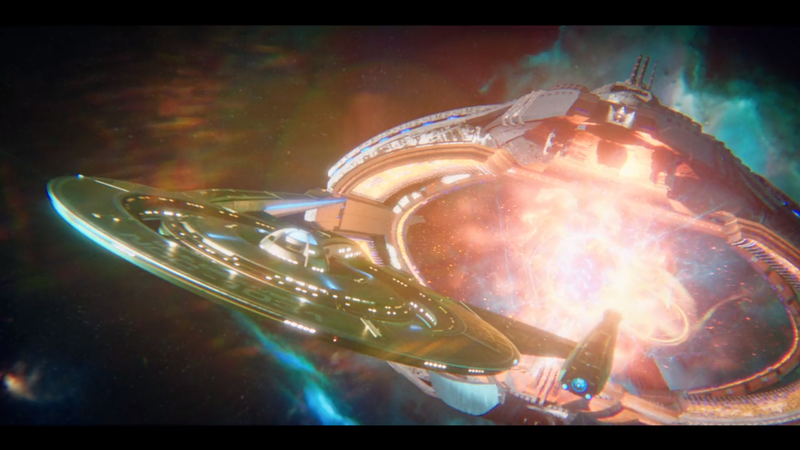 The Discovery is a ship with an experimental spore drive. Lorca is a mirror-universe impostor with a hidden, wicked agenda. Ash Tyler is a sleeper agent, with Voq’s memories and personality suppressed. I will also be keeping almost all of the same characters and settings, where possible, and will do my best to hit the same plot milestones as the show. This is entirely self-indulgent, and I make no apologies. I certainly have no shame. This first installment is to set the scene – to establish the same setting and the same characters as we meet in the show. I wanted to capture Georgiou’s same easy confidence and cool charisma, and the playful rivalry between Burnham and Saru. We’ll see how it all plays out. The room was awkward. Pleasant, but awkward. Like the rest of the building, Nav’s new quarters were all organic curves, smooth lines, no edges to speak of besides the shelves built (or maybe grown) into the wall. Nav soon came to realised that she missed having corners. Corners were nice. Corners were defined – they showed you where one wall ended and another began. And corners were natural homes for things – for lights, or tables, or bookshelves, or even just piles of clothes and boxes of stuff. Nav had lived out of Boxes of Stuff for the last seven months of her life, between moving to San Fran, finding out she would be leaving and so never unpacking, living on a cramped starship as it crawled across the Gamma Quadrant. Boxes of Stuff had been her life, and they had always found a home in a spare corner of whatever room in which she happened to be sleeping. 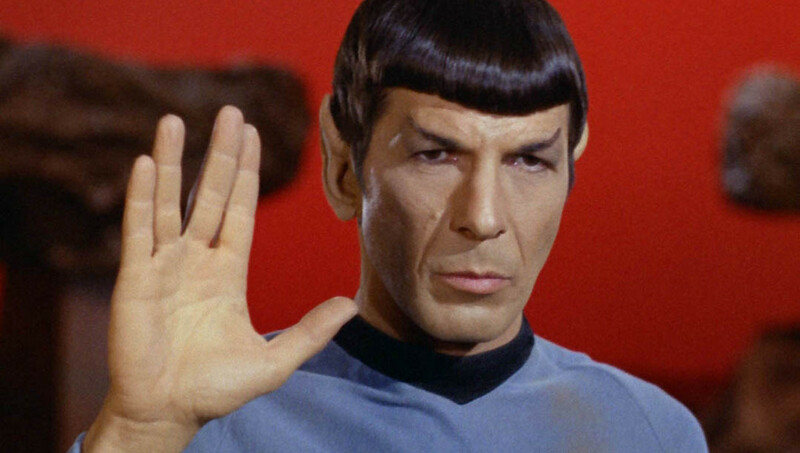 And now, this room had no corners, and so her Boxes had no home, and so she had no home – just a bed, and some shelves, and an unmarked border with her roommate, who was presumably a Vulcan based on the sparse decoration and the absence of anything which might possibly possess sentimental value. This wasn’t an immediate issue, as Nav’s Boxes were all still aboard the Nicholls, due to be beamed down in the evening. But it would definitely be a problem, she knew, when she would eventually have to confront the notion of – and this word made her shudder – the notion of unpacking. Seriously, how the hell did people live their lives with all of their stuff in different parts of a room? She also had a chest of drawers, she realised. Which was a bit like a stack of boxes, she had to admit. But she was probably going to have to designate specific draws for specific things, like some kind of bloody sociopath. Nav span on her feet to see a Vulcan in the doorway. She was tall, and had the physique of a champion athlete, and god bloody damn it was she striking to look at. She was also staring at her own side of the room, her eyes darting to each item in turn. 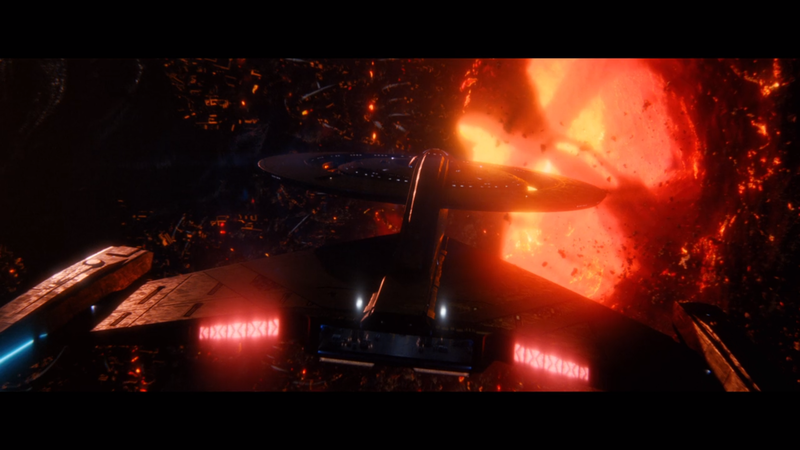 Nav found this odd, because Vulcans weren’t supposed to lie. “I’m Nav. Nawisah. Whatever. Hi.” She pointedly held out her hand. Glowing particles coalesced in front of Suvek, forming the shape and structure of a hairbrush. It hung motionless in the air until Suvek took hold of it and presented it to Nav. “This will get you started,” she said. Nav had no response. For several seconds she had no response. She felt like she might explode with rage. Or implode with shame. Certainly some kind of stellar catastrophe was on her emotional horizon. She realised she hadn’t taken a full breath since Suvek began talking. She inhaled through her nose, exhaled through her mouth. Suvek was staring at her the whole time, expressionless and unblinking. Finally, Nav relaxed her fists. “I haven’t got dry hair,” she stated. Nav’s mood was swinging like a metronome, and the only thing she was certain of was that she was wildly out of balance. She said nothing more, but turned away and began unloading her travel bag onto her bed. Behind her, Suvek sat down on her own bed and retrieved a PADD, which she began to read. “Will you be attending the ceremony in the afternoon?” Suvek enquired. “Who’s the new meat?” Kor’va asked, tipping her head to indicate the fresher on the other side of the concourse. “Don’t be crass,” Mateo chided. “She’s an Earther, she arrived on the Nicholls. I don’t know who she’s arguing with, though.” He watched the newbie as she gesticulated at two science officers. Her frustration was clear even from the other side of the concourse. The new cadet and her parents parted, neither side appearing satisfied. The show was over. The three spectators moved on to a café in one corner of the concourse and sat down at a table next to a Vulcan cadet, another first-year. The four of them made for a diverse group: Kor’va, a Klingon; Mateo, a human (technically a Martian); Siron, a betazoid; and Suvek, the Vulcan. 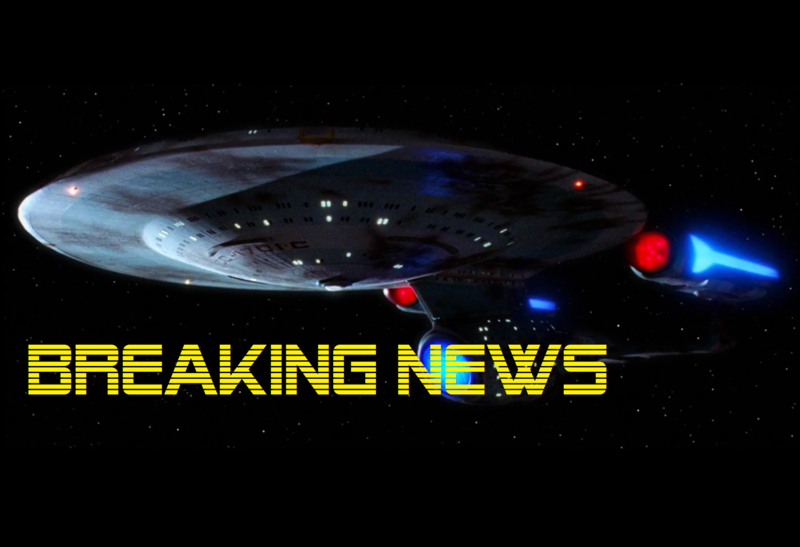 Starfleet in the Alpha Quadrant was still forty per-cent homo sapiens, but Zhenxun had been a destination for immigrants from all worlds of the Federation, and that was reflected in the intake of its academy. One of the waiters brought over a tray of drinks – four spiced celosia teas, an incredibly popular beverage on Zhenxun, brewed from local celosia plants and served steaming hot. They each took one and breathed in the spiced, earthy aroma. “We dare not be ashamed of our own qualities!” Kor’va protested. “They’re the backwards ones! Get lost!” she shouted at Mateo as he kicked her under the table. “My belongings are arranged optimally for comfort and convenience,” she said, averting her gaze. “Having to re-arrange their layout following misplacement would be an unwanted disruption.” She began walking away.